City kids have computers and TVs in their schools, but some countryside students are even short of fresh water. 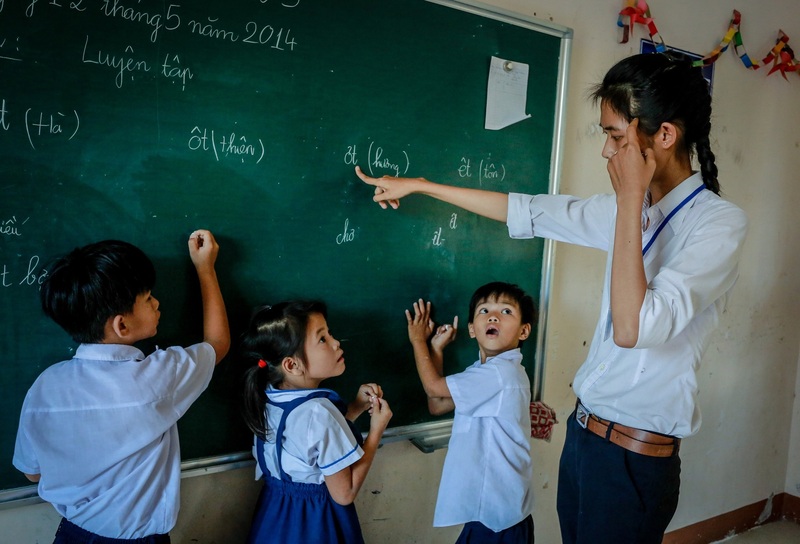 It's three weeks into the new school year in Vietnam and one week before UNESCO’s World Teachers’ Day (October 5), so VnExpress International has put together this selection of photos and stories from schools across the country to exhibit the distinctly different circumstances under which students and teachers experience education. 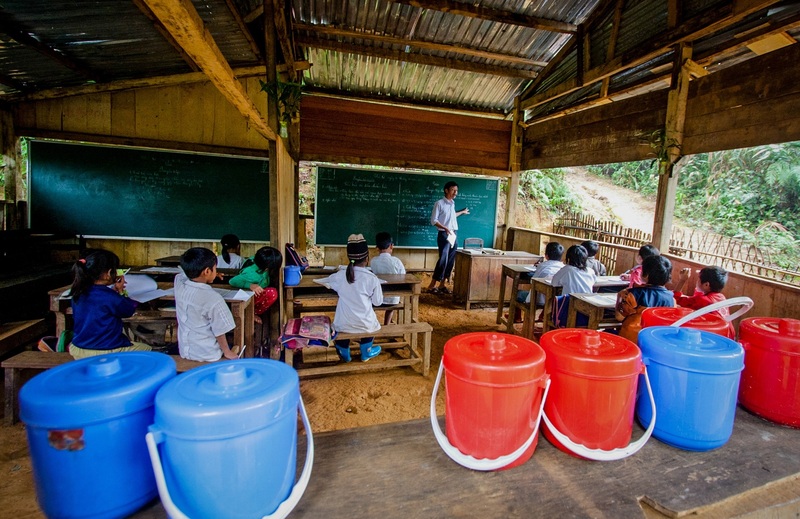 It takes the students and teachers hours to trek through the jungle to reach their mosquito-infested classroom every day. Children either bring their lunches to school, or have them cooked on site by the dedicated catering staff - their teachers. 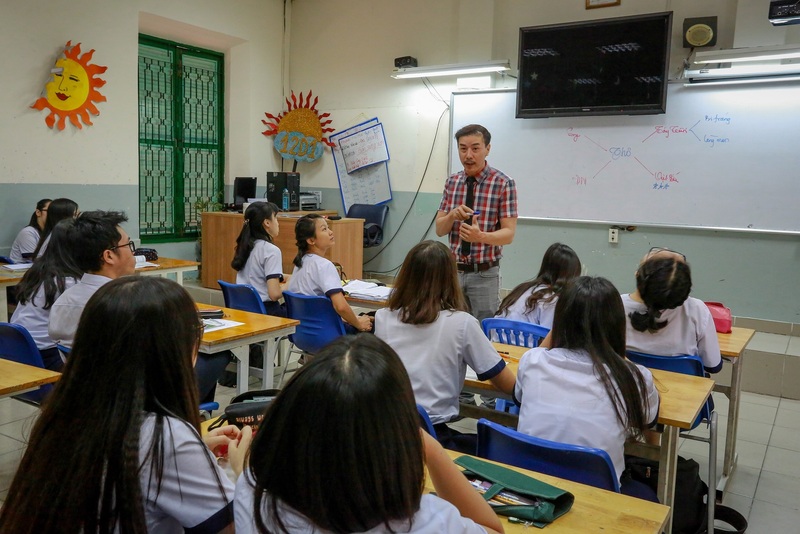 Senior high school students in their well-equipped classroom at Le Quy Don High School. 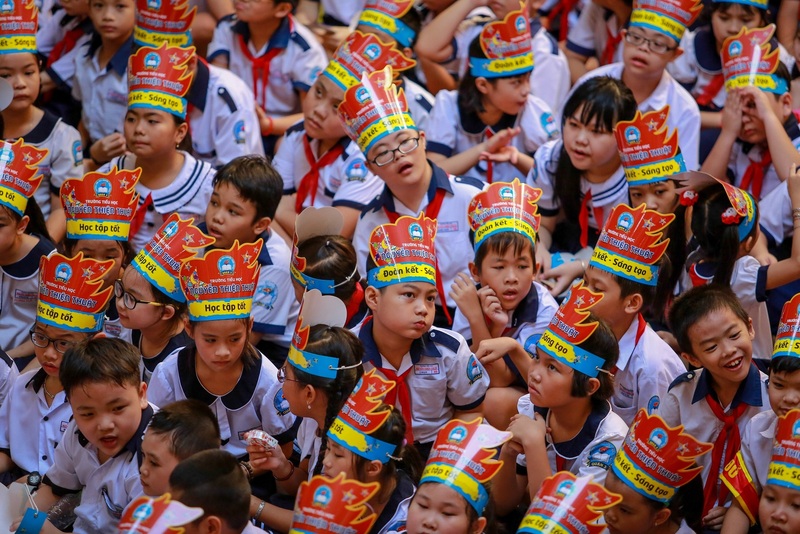 The school is famous for being one of the oldest and finest in Saigon. 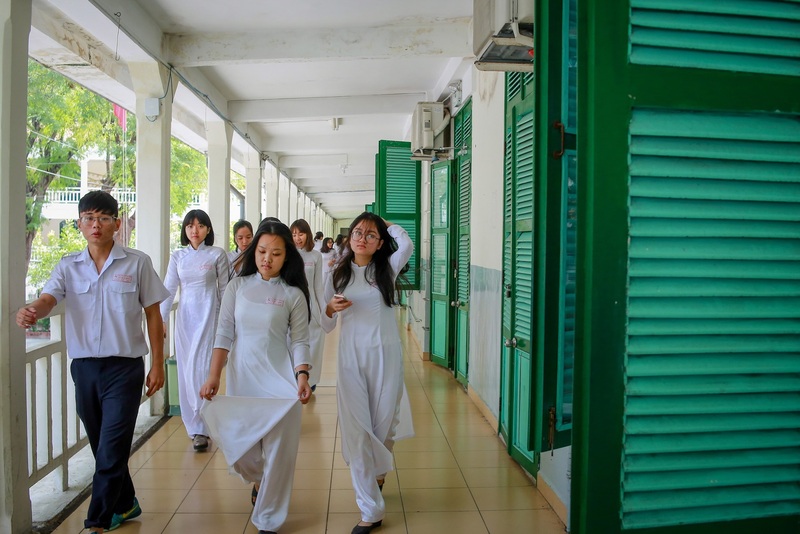 In most high schools in Saigon, a white ao dai (Vietnam’s traditional tunic) is the uniform for female students. Around 10 to 15 students, aged 8 to 16, attend this class. They are all from poor local families who can’t afford to send their children to school. 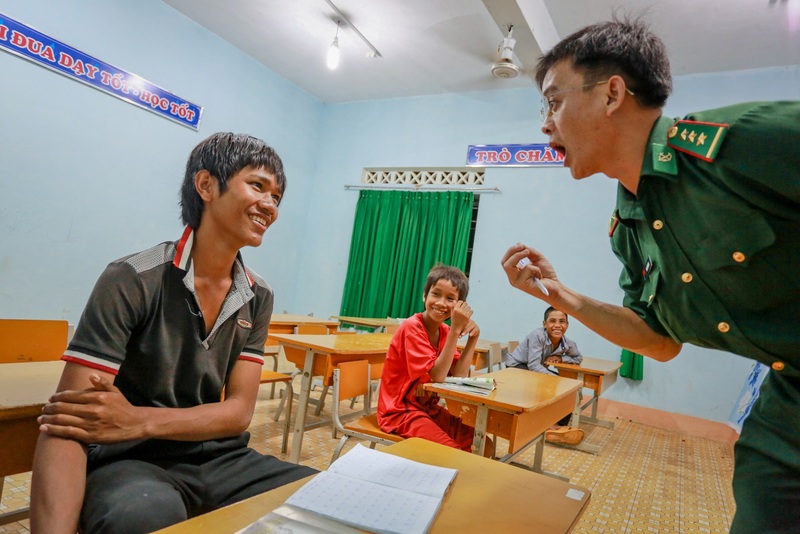 Soldiers from the neighboring Serepok border post borrow the classroom during the summer break to teach the kids how to spell and do basic calculations. These H’mong kids set off for school before dawn with their flashlights in hand. 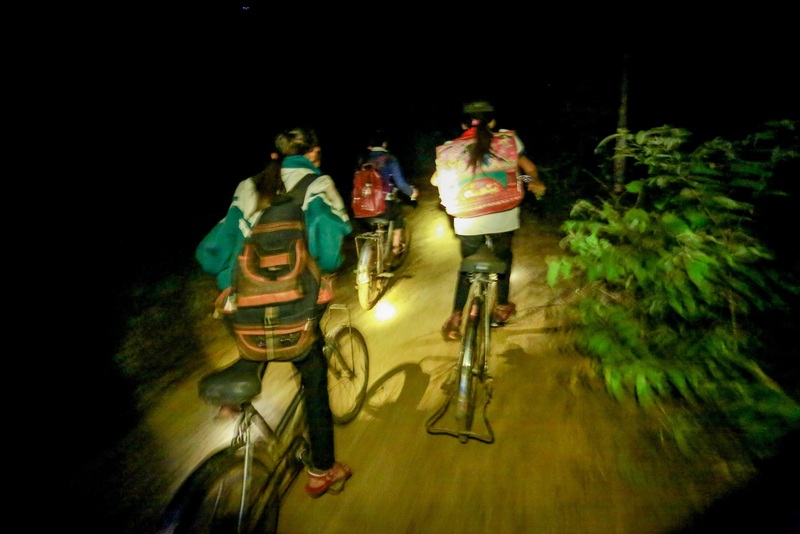 Every morning from Monday to Friday, 150 students in the remote commune of Ea Kiet get on their bikes at 3 a.m. and pedal their way through jungles and hills to school. 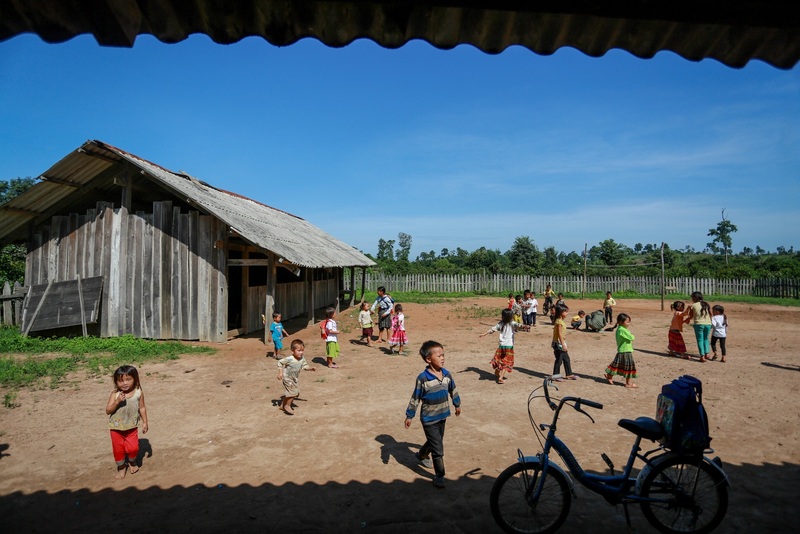 The nearest school is 4km (2.5 miles) from the community and was built by the authorities and parents to shorten the distance for the younger kids. 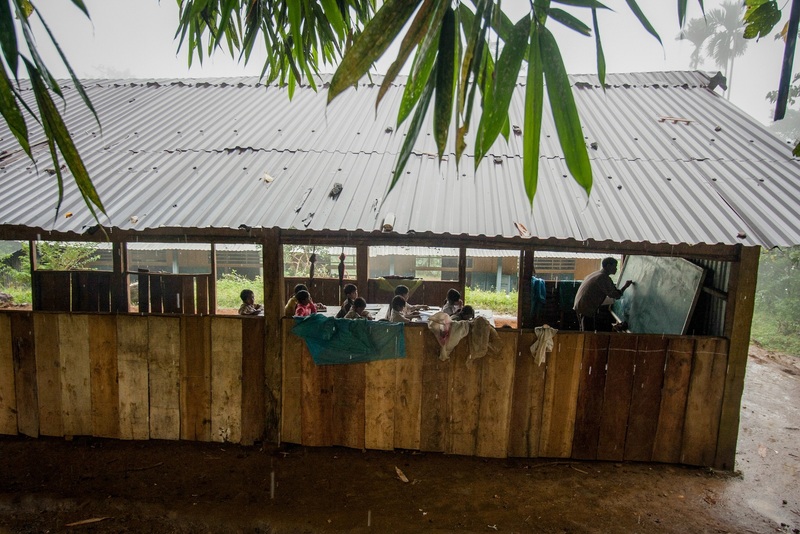 The older students still have to venture 17km into the jungle to reach their classroom. The education sector takes up to 20 percent of the government’s budget, or roughly $10 billion a year. In turn, the country’s literacy rate has been announced to be over 97 percent. However, spending efficiency has recently been called into question as 80 percent of the funds is used to pay for teachers’ and other educational personnel’s salaries and only a fraction is invested to improve quality of teaching and curriculum. 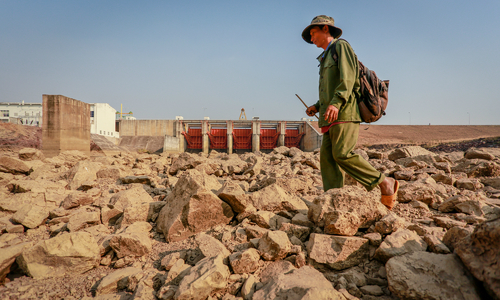 In the dry season (between November and April), Hoa Hong Kindergarten in Dak Lak Province runs short of fresh water. 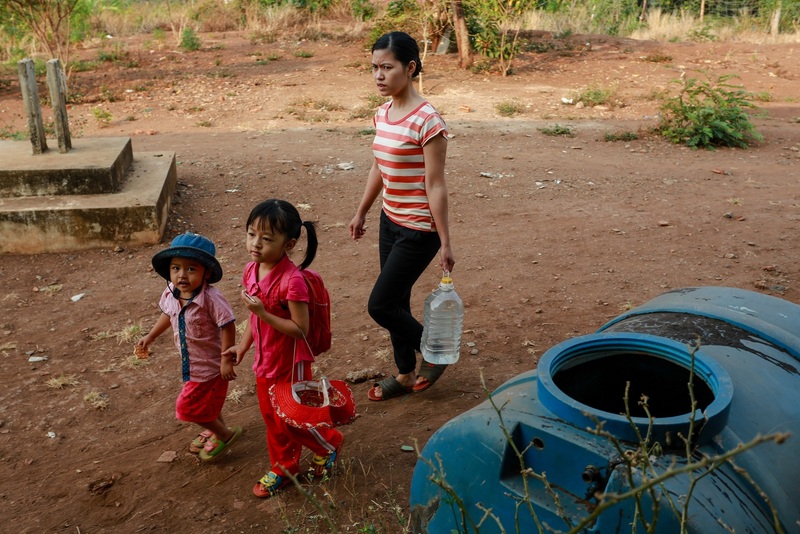 Every morning, parents bring their kids to school with cans of water. 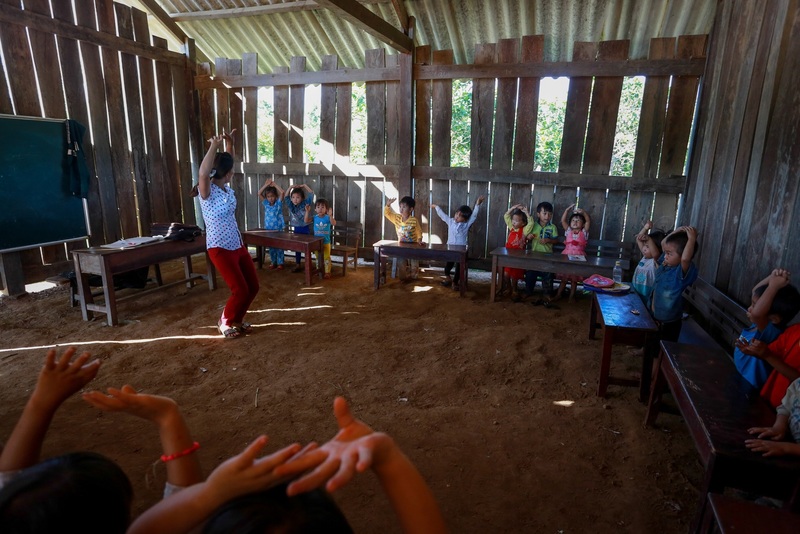 Getting every kid to school is not an easy task for a multi-ethnic country like Vietnam. With 54 officially recognized ethnic groups, mostly scattered across the hinterlands and speaking different languages, the government has been struggling to ensure inclusive education across the country. Children from poor areas, rural areas and ethnic minority groups are less likely to attend school, and achieve less than their urban peers due to limited access to learning opportunities and poor financial conditions. 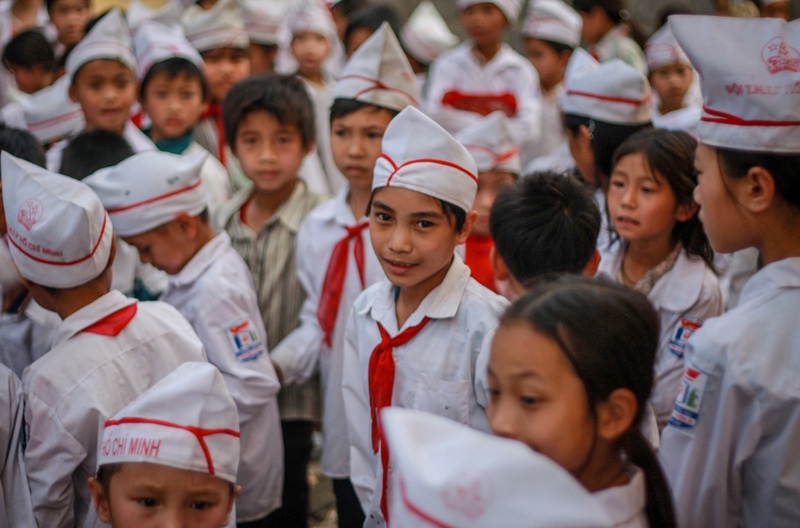 A survey by UNICEF points out that children from ethnic minorities in Vietnam are the most likely to have never attended school, and those who do tend to drop out more at higher levels of education. 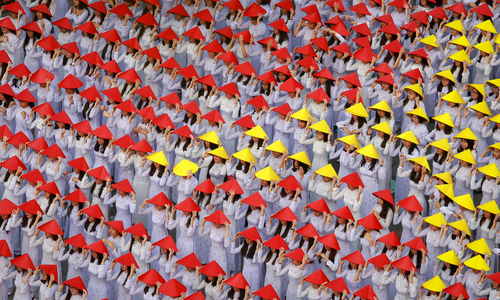 Students attend a flag ceremony. 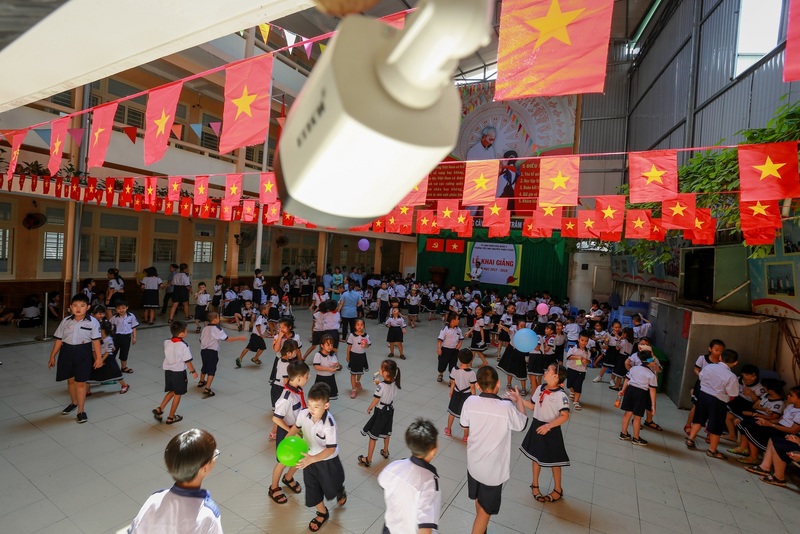 Schools in Vietnam hold the ceremony every Monday, when students gather in the playground to sing the national anthem and listen to their headteacher’s review of the previous week. 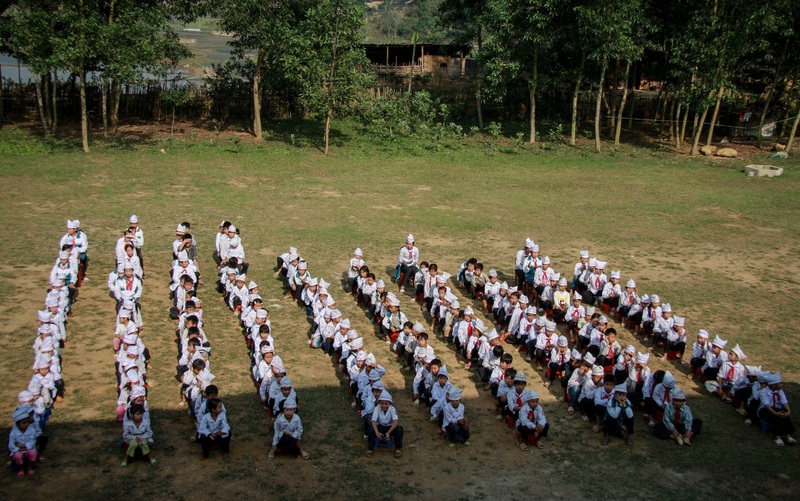 The school, where most students come from families of farmers, is considered to be the poorest one in the province. 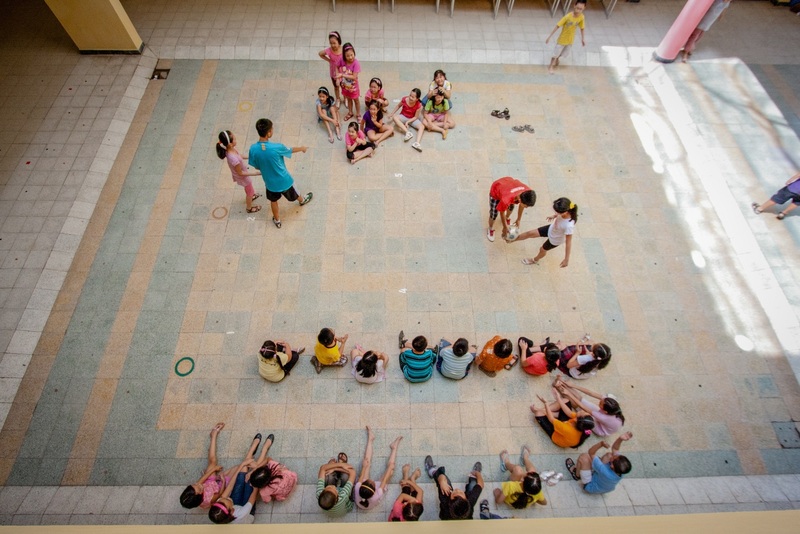 Like other urban schools, students at Nguyen Thien Thuat Primary School in Saigon have better access to modern facilities. However, located in a populated residential area in District 3, the small public school is facing growing pressure from a lack of space. 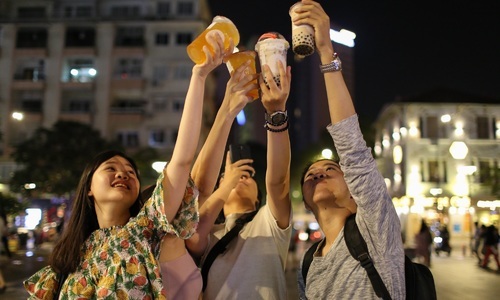 The 150-square-meter playground is shared by hundreds of kids. 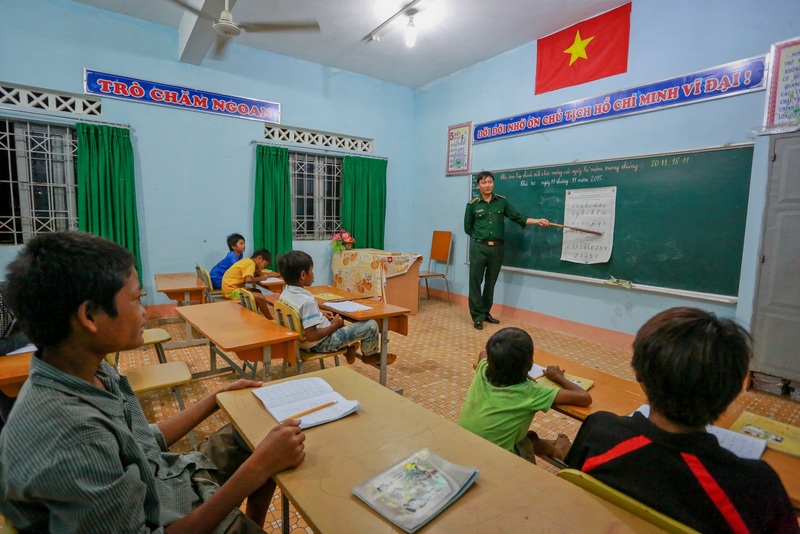 Nguyen Thien Thuat is one of the few schools in the country that admits disadvantaged children, and has from five to 10 of them in every class. 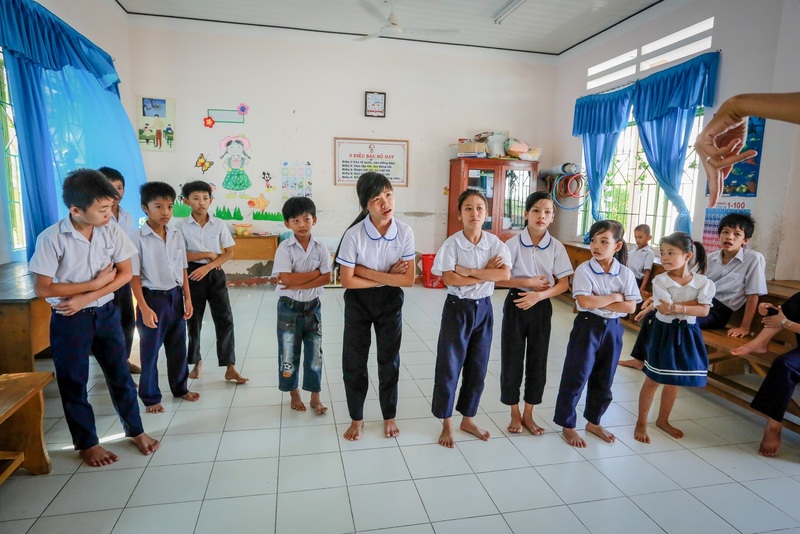 Despite policymakers’ commitment to the right to an education for children with disabilities, a 2015 UNICEF survey conducted in eight provinces found that 86 percent of schools had no budget allocated for these children. A majority of teachers also reported that they had not received special training covering inclusive education, special education and kids with disabilities. Among the 39 students (from six to 15 years old) living at the center, 18 are hearing impaired. The government opened the center for children from poor families who can’t cover the costs of special care, and to provide an education and vocational training to help them “re-engage” with the community. 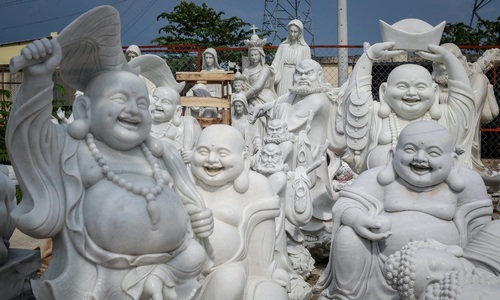 However, it is reportedly running on a limited budget, which mostly comes from the state and charitable donations. 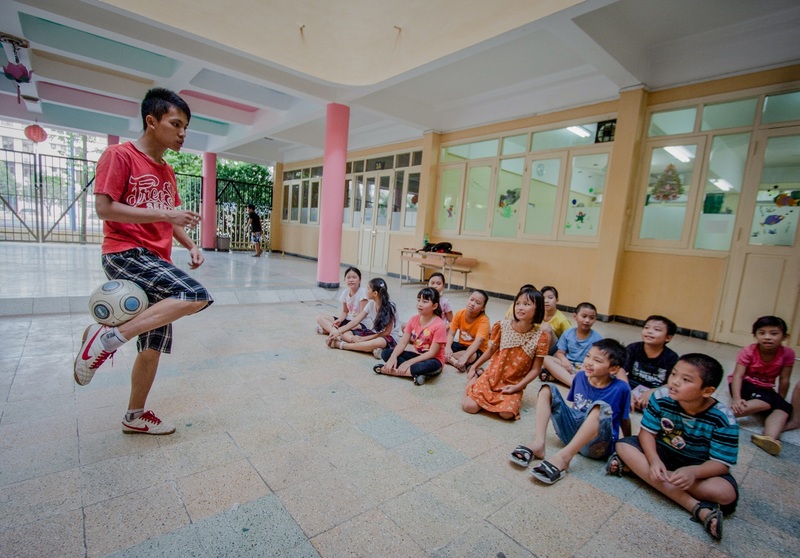 A sports day at the state-run Hanoi Primary and Secondary School. 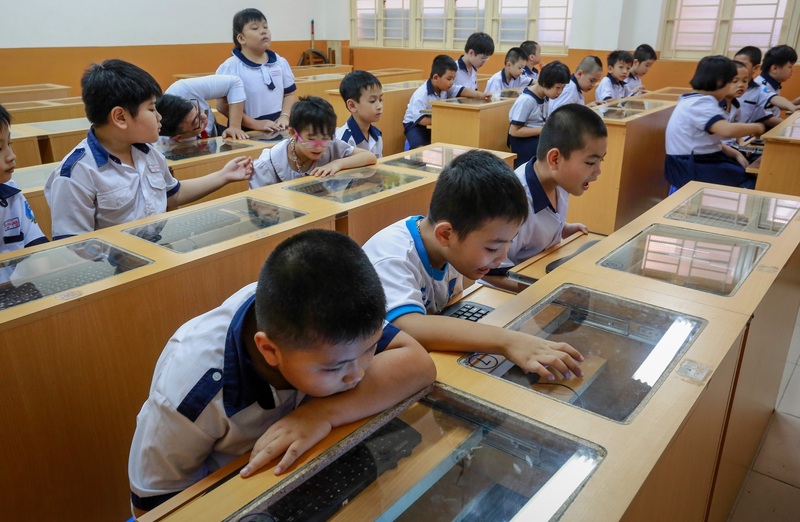 The school has become popular for its “progressive” and “modern” curriculum with a student-centered approach, which is considered a breakthrough in Vietnam’s conventional education system. In 2012, it made headlines when hundreds of desperate parents queued overnight and eventually crashed through the gate to get their hands on one of 300 application forms available for the 140 first-grade places.